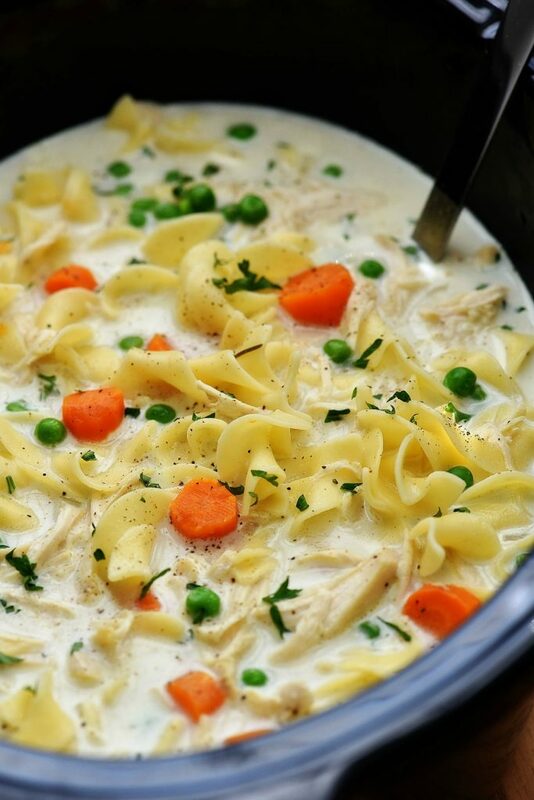 Warm up this winter with Slow Cooker Creamy Chicken Noodle Soup! 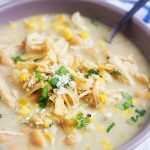 This soup is delicious, comforting and conveniently all made in the slow cooker! 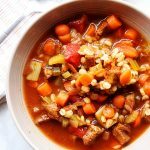 There are many slow cooker recipes that have other steps you have to do outside of the slow cooker. Not that it bothers me at all but I know for some it does. 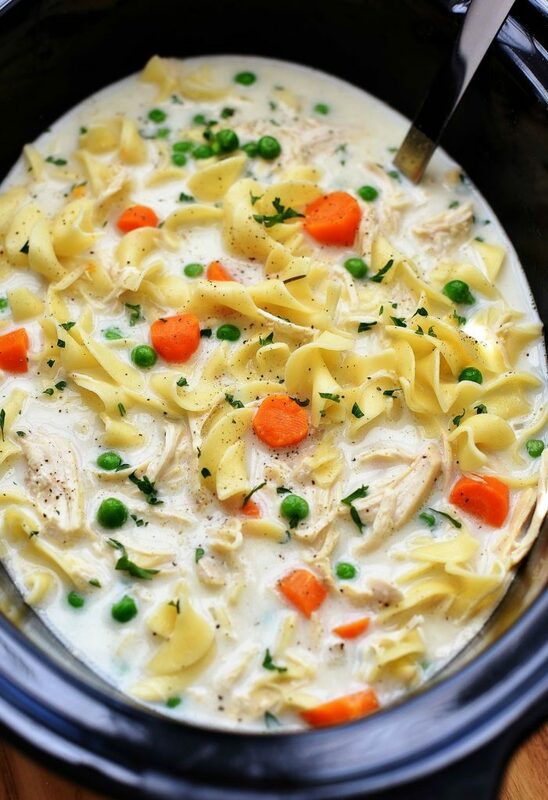 Luckily, with this Creamy Chicken Noodle Soup recipe everything is done in the slow cooker. The noodles are even cooked right inside! This soup turned out creamy, dreamy and so delicious. 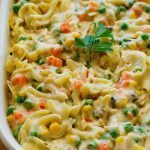 All the different textures from the carrots, peas, chicken and noodles made it so good. My kids chowed right down on this too. I think I’m going to make a tradition out of this lovely soup. 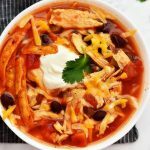 When we’re sick, when it’s freezing cold outside, or just any ol’ time I feel like an amazing bowl of goodness, this is what I’m making. Season chicken with salt and pepper. Place chicken in a large (6 to 8 quart) slow cooker. Stir in 6 cups of the chicken broth, onion, carrots, rosemary and bay leaf. Cover with lid and cook on low heat for 6-8 hours. In a large bowl, whisk together remaining cup of chicken broth, flour and heavy cream. 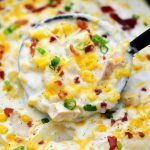 Carefully pour shredded chicken and cream mixture back into slow cooker. Gently stir in egg noodles and peas. Cover with lid again and cook on low heat for an additional 30-60 minutes or until pasta is tender. Looks so good! Thank you for sharing! 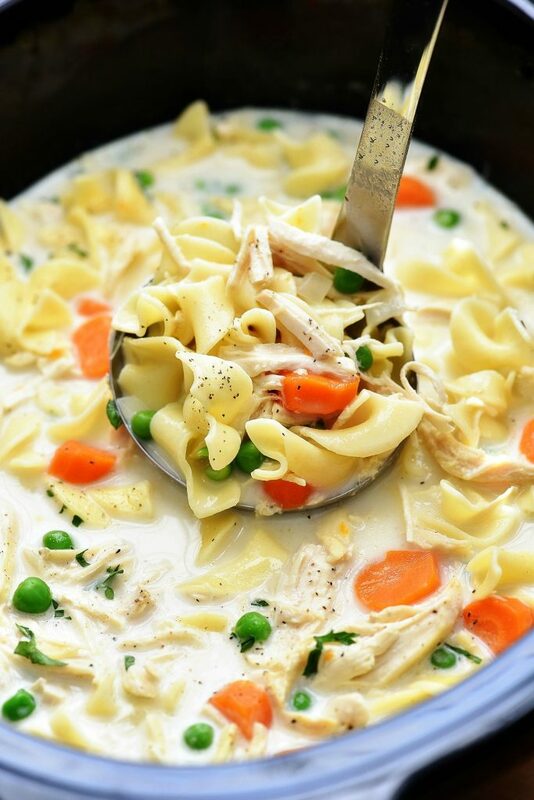 I’ve never made a chicken noodle soup on a slow cooker before, so I must say I’m really curious to try it. Thanks for sharing the recipe!